Tim Tebow made his name playing football both in college and the NFL, but he didn’t stick around the football scene for too long. In 2016, he announced he was leaving football for good to pursue a baseball career. There were many critics, people thought he was washed up, but Tebow was determined to prove the doubters and the haters wrong. Tebow played quarterback for the Denver Broncos from 2010 to 2011 and had one season with the New York Jets. He was the starting QB there, but left New Jersey after one season, becoming a free agent. Tebow struggled to find a team despite trials with the New England Patriots and Philadelphia Eagles. That was when he made the tough call to walk away from football for good, but he wasn’t going to retire. In fact, he still madly craved one simple thing – competition. In 2016, Tebow invited all 30 MLB teams to watch his open workout and give them an opportunity to sign him. The former quarterback had definitely hoped his own transition to baseball would go better than Michael Jordan’s, and he was determined to make a success of it. He knew he couldn’t just walk into an MLB team, and he had to put in some hard work. The last time Tebow played baseball was in 2005, in high-school, where he was an all-state player. He knew he once had the knack for America’s favorite pastime, but what he didn’t know was if it was still there. 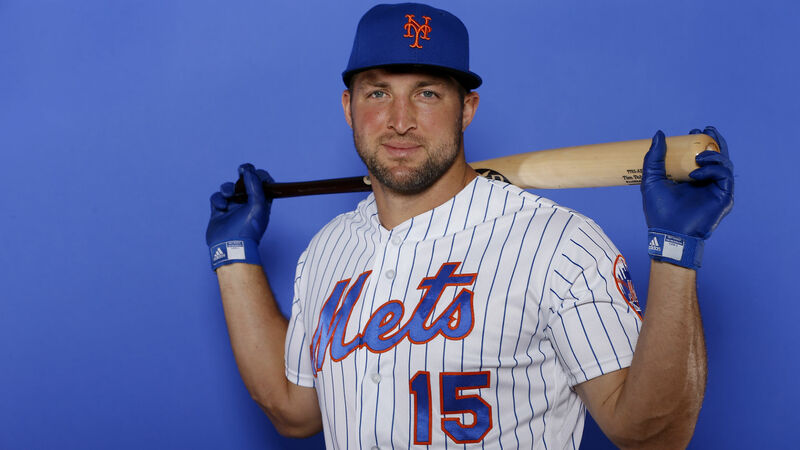 In 2016, Tebow signed a contract with the New York Mets, but under the condition that he play in farm leagues until he was good enough to earn a main roster spot in the majors. Things couldn’t have started any better for Tebow, who hit a homerun on his very first at-bat for the Columbia Fireflies. His batting average didn’t stay that impressive, though, and Tebow would probably admit his first season in the minor leagues was underwhelming. Still, being who he was, he had a chance to redeem himself in the next season. Last season, he played with the Bingham Royal Ponies and hit six homers with a batting average of .273. His game is steadily improving, and some believe the Mets might have an opening in their roster for Tebow. The former quarterback swings for the fences and never holds back when he’s at bat. That makes for an exciting player, and at just 31 years old he has plenty of gas left in the tank. Nevertheless, he still has to prove to the Mets that he is able to live with the skills of minor league pitchers or else he’ll never get his opportunity in MLB. For Tebow, the pressure is on, and he has to make this year count. He was getting into the swing of things last year, but injured his hand, an injury that put an end to his season. 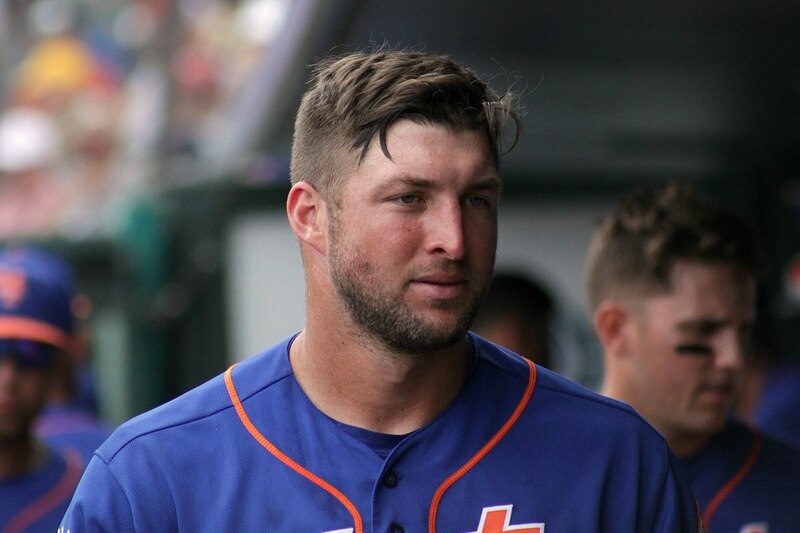 Tebow will have to overcome that injury, and rustiness, if he’s going to have a shot at making it to the big leagues. 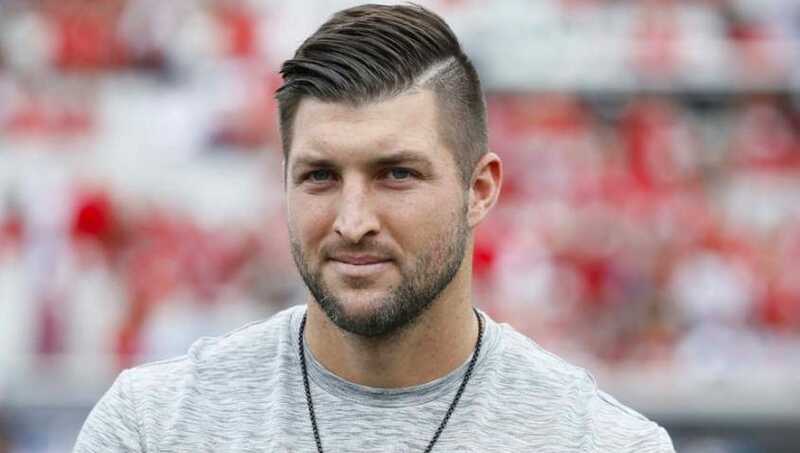 Despite the disappointment of dropping out of the NFL, Tim Tebow now has a second chance at sporting greatness. He has switched sports, and is virtually on the cusp of making it to baseball’s major league.